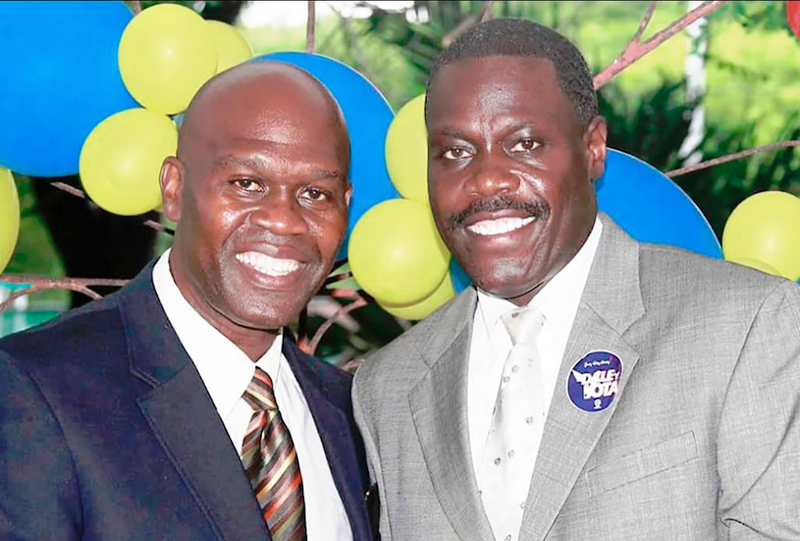 Moleto Smith Jr. and running mate Hubert Lorenzo Frederick on Sunday announced their run for governor and lieutenant governor as independent candidates in the 2018 Virgin Islands gubernatorial race. Smith and Frederick ran on the same ticket for governor and lieutenant governor in 2014. On Sunday Smith presented the team’s website and introduced what they call a “9-Point Prosperity Plan,” which aims to address the territory’s economy, health care system, government pension system and schools as the top four priorities. Smith is executive director of the St. Thomas East End Medical Center, a private nonprofit community health center that serves 8,000 patients annually. He is a longtime government employee who has held numerous high-level positions in an array of V.I. government agencies and organizations. A graduate of the University of California, Irvine, Smith has more than 30 years experience in government operations, healthcare, human services, budgeting and emergency management. He has served on numerous boards, including AARP, the V.I. Head Start Program, V.I. Partners in Healthy Communities and Big Brothers/Big Sisters. He also is past president of United Way, president of the League of British Virgin Islanders, and an invited member of the Clinton Foundation Global Post Hurricane Recovery Action Network. He has been acting commissioner and deputy commissioner of Human Services. “The only comprehensive growth industry in the Virgin Islands is health care,” Smith said in a statement after Sunday’s event. “As governor, the Smith-Frederick Administration would create a university hospital system by moving the hospitals under the University of the Virgin Islands, investing in the completion of the medical school and creating a robust health care infrastructure that supports medical tourism, economic development, intellectual and cultural exchange between the mainland and the Caribbean, and most importantly, creates good, high-paying jobs to give opportunity to our young people to stay home or return to the Virgin Islands, while at the same time, providing the Virgin Islands community with high quality world-class health care we deserve,” he said. His statement does not elaborate on how this will be funded. The USVI is currently facing severe structural budget deficits. Born on St. Croix, lieutenant governor candidate Hubert Lorenzo Frederick reportedly spoke Sunday about growing up in Williams Delight with his sisters and mother, who became a single parent after their parents divorced. He started in business at a very young age to help his mother provide for the family and to save for college. He later earned money to help pay for college by playing trombone and trumpet with the St. Croix-based Liquid Sounds Band while attending St. Croix Central High School. The campaign says Frederick has more than 25 years of banking, insurance, financial management and business ownership experience, both nationally and locally – particularly on the island of St. Croix. He holds a bachelor’s degree in accounting and finance from Florida A&M University and a master’s in planning and economic development from Georgia State University. He has held securities and insurance licenses in Georgia and the USVI and has worked successfully with several of the nation’s Fortune 500 financial institutions throughout his career. He currently owns the Frederick Commercial Center, Island Insurance Agency and other businesses on St. Croix. The pair have chosen to leave the Democratic Party and run as independents in the 2018 elections. “For these reasons we will be change our registration from Democrat to No Party to facilitate the 2018 elections,” he said.